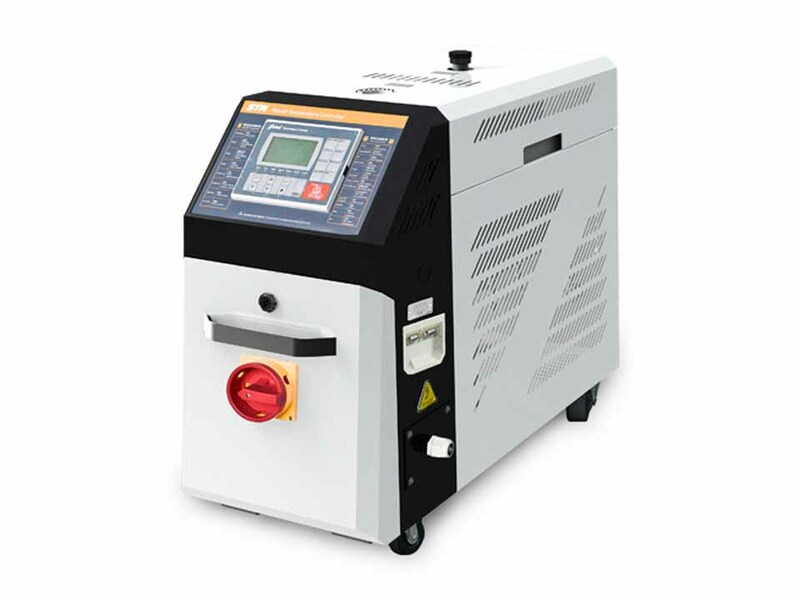 STM series oil heaters have both the standard and high temperature models, which are used to heat up the mould and maintain temperature, although they can be used in other similar applications. High temperature oil from the mould is returned to the cooling tank and cooled by indirect cooling. It is then pressurised by the high-pressure pump, sent to the heating tank and finally to the mould with a constant temperature. With our optimised design, It can reach a maximum of 200℃ and the HANYOUNG temperature controller can maintain an accuracy of ±1℃. 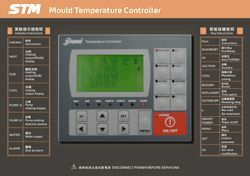 Adopts high efficiency high temperature pump, which can meet the demands of temperature control for precise moulds and mould loop with minor diameter to achieve precise temperature control and high efficient heat exchange. 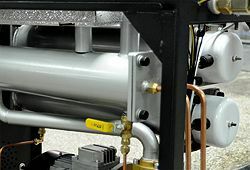 Pipe heaters are made of stainless steel. 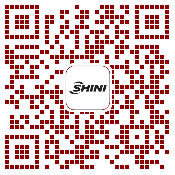 For standard STM, the heating temperature can reach 200℃, while for STM-HT, it can reach 300℃. Inside tank of STM-HT is made of high pressure resistance stainless steel to prevent any explosion. 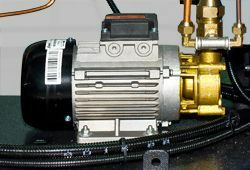 Among the Standard Oil Mould Controllers STM, all models can opt for magnetic pump. (except STM-3650 series).